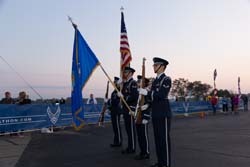 The 23rd annual Air Force Marathon will take place on September 21, 2019 in commemoration of the 70th anniversary of the United States Air Force. The marathon welcomes all branches of the military and any civilians to take part in this historic event. 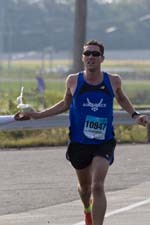 I would like to participate in the Air Force Marathon. Is permissive TDY authorized? Permissive TDY is authorized for Air Force active duty members.. Be sure to check with your supervisor. Can I get a refund of my registration fees if I will be deployed? Our cancellation policy states that registration fees are non-refundable and non-transferable, however, if you have been issued orders to deploy, and have already registered and paid to participate in the Air Force Marathon, you can get a refund. Above items must be faxed to the Air Force Marathon office at (937) 656-1000 or DSN 986-1000 by 31 October of the year of the event.